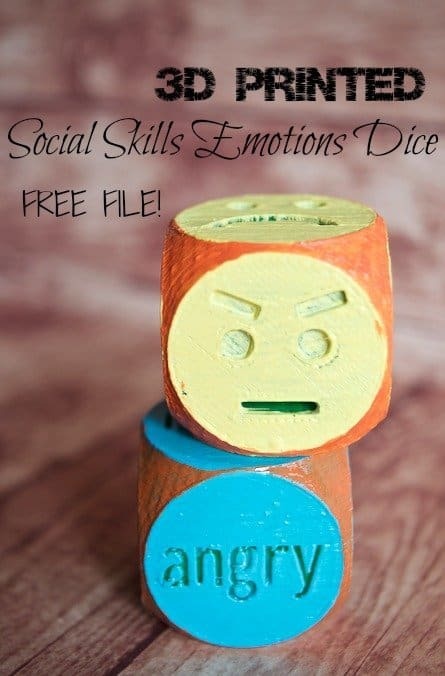 This post brought to you in partnership with Dremel Education. 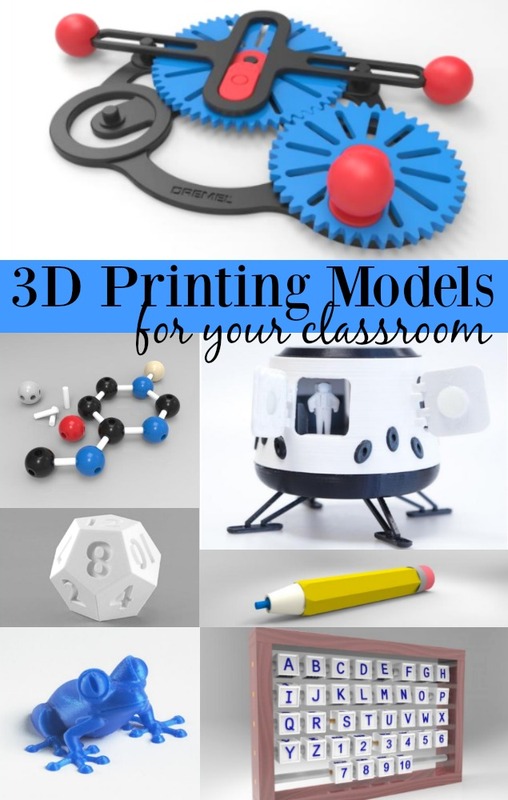 I get asked a lot if I have any recommendations on where to find funding to buy a 3D printer for the classroom or school. Not only does a good one run a decent price tag but sometimes administration doesn’t always agree on the need for such a forward thinking piece of technology. 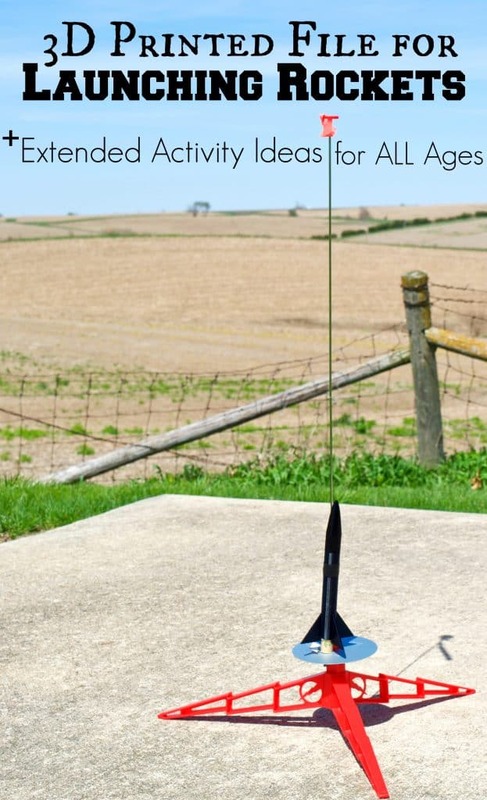 I would absolutely love to hear your feedback in the comments below if you have some additional ideas for us! 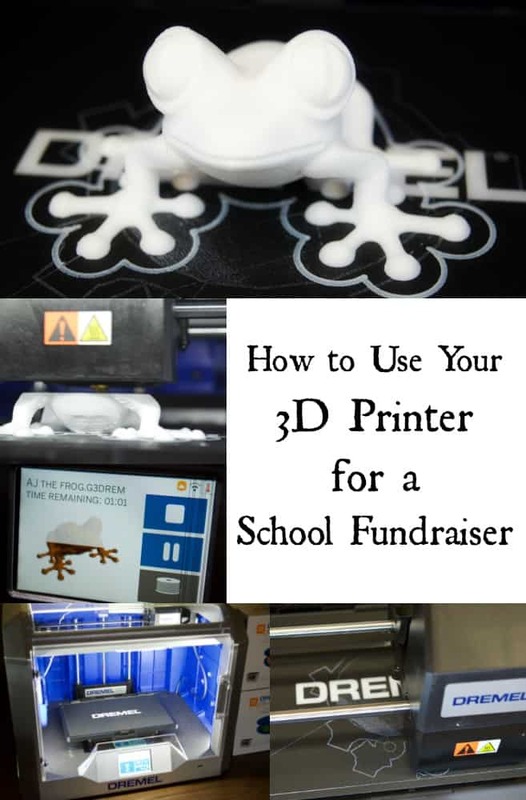 If you already have a 3D Printer check out our article on how to use your 3D Printer for fundraising! Remember – make sure you read the fine print for each funding / sweepstakes page as they all have different rules! Some are for public school only, some are specific states or grade levels, etc. Ask local businesses! You guys – this is HUGE! I cannot tell you how many thousands of dollars and perks our school has been benefited just by asking local businesses! It is 100% worth stopping in to ask! Local businesses just love to help local schools! And usually they welcome the tax deductions for their donations! There are SO many ways you can go about this. You can sign up for a fundraiser night at a local restaurant. You can contact a large manufacturing plant that may have access to some older versions of 3D printers to donate. Hold a carnival with prizes sponsored by local businesses. 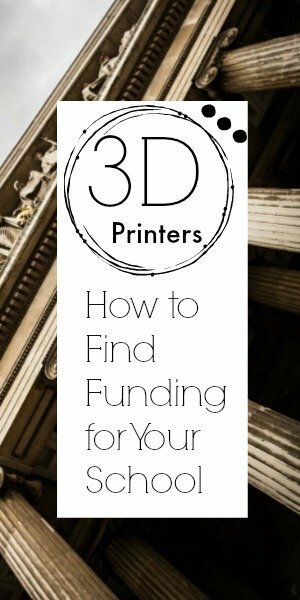 Talk to business managers and see if they’ll partner up to help donate or match funds for your 3D printer. Ask your local bank if they have any community grants for schools. 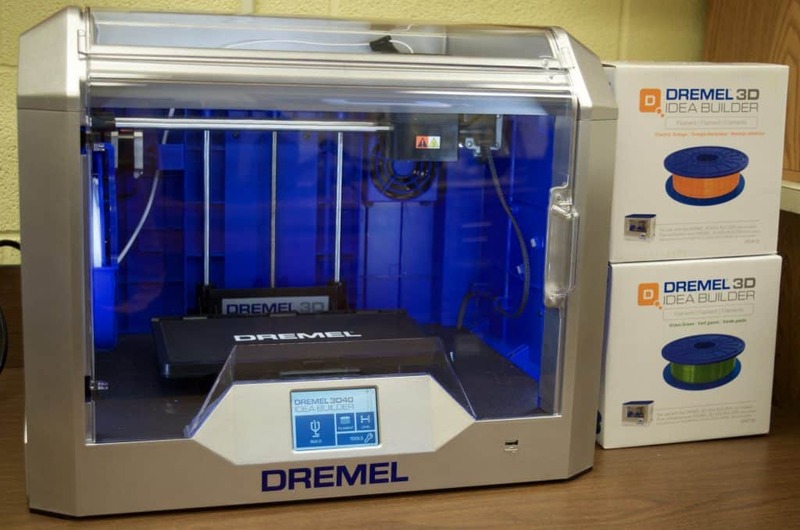 Contact your local community college and see if they have any contacts or resources for 3D printer technology. It’s amazing what you can uncover when you put in a little time and start asking around. 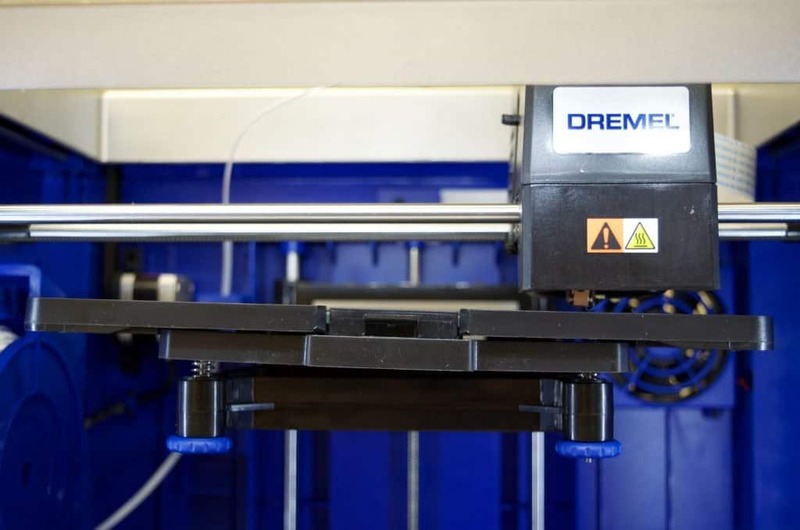 As you guys know I am a Dremel Education ambassador so to be honest with you the Dremel Idea Builder 3D40 3D printer is the only one that I personally have experience with – but it’s all I need. I am extremely happy with our 3d printer not only because it’s super easy to use (you can pull it out of the box and start printing in under 20 minutes even if you’ve never seen a 3D printer before!) but also because it can build such large projects! It even has a touchscreen tutorial! I thought for sure I would be a little tech stumped with a 3D printer – it sounded kind of scary after all! But pulling it out of the box it was like reading a dummy manual – it walked me through the whole process and was no big deal! Even my 10 year old son uses ours on a daily basis completely on his own. 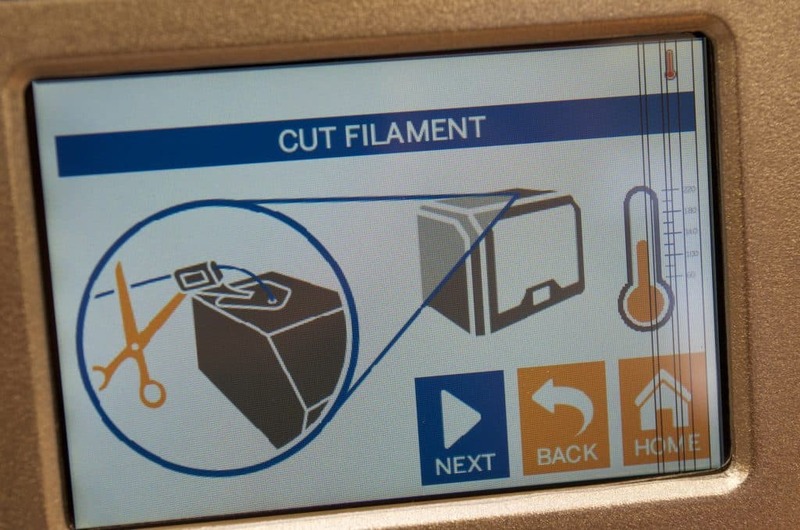 It taught me how to feed and cut the filament, the temperature it was running, and everything! It even shows you how much is left on the project that you are currently printing! The Idea Builder 3D40 shows you how to easily level the platform! You can print via wi-fi, ethernet, or simply by plugging in a USB drive like we prefer since our wi-fi connection can be spotty. The printer is completely closed with a clear top and front door that can both open for convenience. Like I mentioned before it has a very large base plate so that you can build large projects on it without worrying about size (10”x6”x6.7”). And if you have to level the building plate the touchscreen walks you through exactly what to do so you can’t go wrong! You can check out everything Dremel has to offer here (including free 3D project files!). *The ability to study cross sections of organs, skulls/bones, and specimens. *The ability to print out and use 3D molecules. 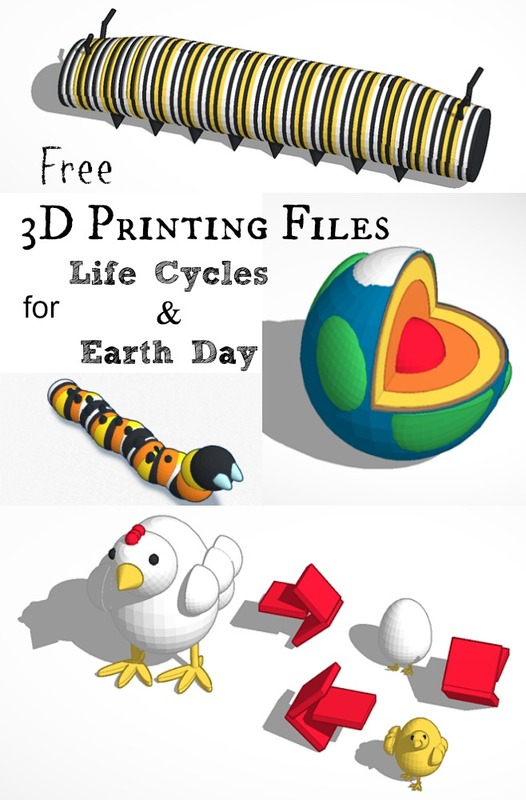 *The ability to print out 3D topography of maps. *The ability to print out historical artifacts. *Design with precise math skills. *Complement STEM curriculum and concepts. *The ability to learn by failing. *Real world concepts of finances, business and being an entrepreneur.